The Samsung Galaxy S3 may be one of the most anticipated smartphones of 2012, competing closely with the Apple’s upcoming iPhone 5. The Korea-based company just released its official launch event on May 3rd, heightening excitement and speculation among fans. Rumblings of invities have been surfacing across the internet from Samsung hyping up the release of its flagship device, the Samsung Galaxy S3. The invite states “Come and meet the next Galaxy”, at an event taking place at Earls Court in London on Thursday May 3 2012. The soon-to-be-released flagship smartphone is said to come in two storage and color options, an unknown source told BGR, according to Tech Radar. 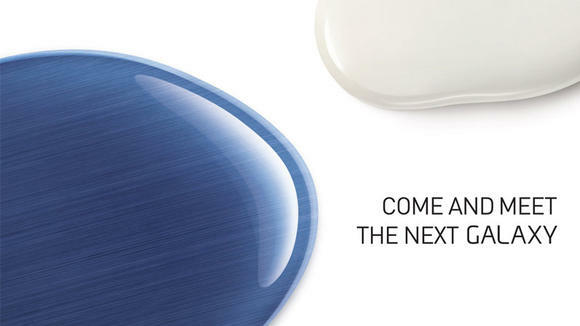 One choice will be a two-tone black and the other will be a white resembling the iPhone model. Users can opt to purchase the Galaxy 3 loaded with a storage capacity of 16GB or 32GB. This has yet to be officially confirmed by Samsung, but other features include a quad core processor, HD display and 4G connectivity. Despite rumors, a source also told BGR that the Galaxy S3 will feature a physical home button below its display. The on-screen button style introduced in the latest version of Ice Cream Sandwich will not be making it to the new phone, reported Android Authority. 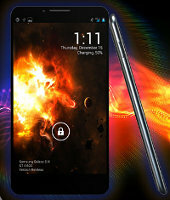 The interface of the highly-anticipated S3 is said to resemble that of Samsung’s phone-tablet hybrid Galaxy Note. “It would be interesting to see Samsung offering various models of its latest flagship device, as it would help it rival the selection you get with the iPhone,” writes Tech Radar’s John McCann. However, according to Android Authority, Samsung may be taking some aesthetic precautions to distinguish itself from the rival iPhone. The future flagship phone will feature a ceramic and brushed metal case, “in what could be an attempt to set the device as far as possible from Apple’s iPhone designs,” writes Adrian Diaconescu of the Android-based news site. The information is said to come from “credible sources,” the site reported. But the new smartphone may be more than just a hot tech item for this summer; the Galaxy S3 could be the official device for the 2012 Summer Olympics. “Thus, it seems that the gadget will indeed be the official device of the London Olympics, which is the reason for holding the primary unveiling event in England’s capital,” writes Diaconescu. Although the primary launch will take place in London, Samsung may also hold simultaneous events in New York City, Seoul, Korea and Dubai, India as well. Fans and tech enthusiasts will get a true glimpse of what the supposed iPhone 5 rival will include when it’s officially launched. But for now, Samsung supporters will have to wait until May 3rd for the company’s big unveiling.